PayPal is an amazing payment method that is commonly used in many different areas and eSports betting is no exception. Therefore we at eBetFinder have rated, reviewed and listed all of the best sites that accept PayPal so that you as an eSport enthusiast can easily find a world class eSport operator where this fantastic e-Wallet can be used for deposits and withdrawals. We basically take everything that has an impact on the eSport betting experience into consideration. However, certain things do of course weigh more heavily than others, such as the eSports coverage, customer support, welcome offer and withdrawal times. These are generally the most important factors that eSport punters consider when choosing a site, which is why we are highlighting the rating of these things on the above filter and in our brand reviews. 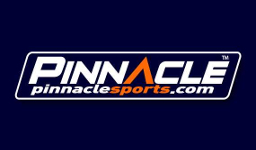 It’s important to know that even though we have a close relationship with certain brands, which we would never beat around the bush about, it’s you as a visitor looking for an eSport betting site that matters the most to us. All of our scores are therefore independent. They are unbiased and a 100% reflection of how we feel about the brand, be it good or bad. How does PayPal betting work? If you’re familiar with the payment methods Skrill and Neteller, you’ll instantly recognize how betting with PayPal works. Just like these methods, PayPal is an e-Wallet and functions in a similar way. It’s all very easy, but to you help you out we have the deposit, bet placing and withdrawal process all thoroughly explained for you. To fund your player account at an eSport betting site, you first have to create a PayPal account. Once this is done, there are two ways that you can use PayPal to deposit with.The first method is to fund your PayPal account by simply transferring money to it from your bank or by receiving money from someone else. This balance can then be used to deposit with. The other method, which is a lot smoother, is to link your PayPal account to a Visa or Mastercard. This way depositing will work in similar way to using credit cards as money will be instantly debited from your bank account. On the PayPal betting site you’ve decided to play with, all you have to do is to navigate to the cashier and choose PayPal as a deposit method. Once you’ve entered the amount you would like to deposit, you’ll be redirected to PayPal’s website. Here all you have to do is to log in, choose how you would like to deposit (from your linked card or PayPal balance) and confirm the transaction. The actual eSports betting with PayPal works the same way as eSports betting with any other real money payment method. 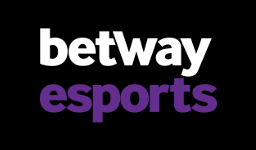 By navigating to the operator’s odds section and choosing eSports, you will find all games, matches and different markets that are available for betting. Pick your favorite ones and these will then be added to a coupon where you have to enter the real money amount you’d like to stake. 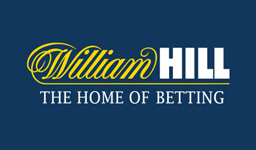 You’ll also have a choice to bet on your selections as singles, in a combination or as a system bet. To learn more about this, we recommend heading over to our odds introduction. When you’ve made a nice enough profit, it’s time to withdraw back to PayPal. This is easily done by just navigating to the cashier and entering the amount you would like to cash out. Opposed to deposits that can go straight from your bank account, it is however important to know that your withdrawn amount will always end up on your PayPal account. If you like to receive the money to your bank, you then have to request another withdrawal from PayPal. Why should I place eSports bets with PayPal? The main reason to use PayPal for betting is that you’ll experience the best transaction times that are possible. Not only is a deposit always instantly credited to your player account, but the same goes for withdrawals. This means that as soon as the eSport operator has confirmed your cash out, the money will be available on your PayPal account. Another good reason to use PayPal is that you never have to provide any personal bank information such as you have to when depositing with a Visa or Mastercard. This is rarely something you have to worry about as the majority of eSport betting sites are perfectly safe, but it could still be nice to know that no one could possibly get a hold of any sensitive details. Is there any reason not to use PayPal for eSports betting? The biggest reason would be a limited selection of eSport operators. As you can see from the brands listed at the top of the page, there are undoubtedly a couple of really good betting sites that accept PayPal. 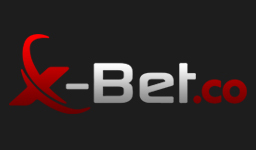 However, compared to our full list of eSport betting sites it’s not nearly as many. Another thing that doesn’t speak in favor of PayPal is that some eSport operators have excluded the welcome offer from deposits made by e-Wallets. This either means that the welcome bonus won’t be credited to you at all or that you risk losing it as a breach of the terms and conditions it comes with. Usually it’s only the welcome bonus that has this limitation, which means that you could take part of the offer using another deposit method and then use PayPal for the rest of your betting. ❔| What are PayPal betting sites? A PayPal betting site is simply a betting operator that is supporting the payment method PayPal for deposits and withdrawals. By using this method, you’re able to place real money bets on matches that your favorite teams are playing and then withdraw your winnings back to PayPal again. ❔| Can anyone use PayPal for eSports betting? As much as PayPal is a widely recognized payment method supported in more than 200 countries, not all betting sites that accept PayPal has the option available for everyone. This means that there unfortunately isn’t any guarantee that you will be able to use the method even though it is in fact supported. To know for sure you would either have to ask the eSport bookie’s customer support or register an account and navigate to the cashier to see if PayPal is available for you. ❔| Can I use bonuses at betting sites that accept PayPal? On some PayPal betting sites you can and on some you unfortunately can’t. To prevent bonus abuse that is over represented among e-Wallet users, some betting operators have chosen to exclude PayPal from their welcome offers and other promotions. In each of our brand reviews we have listed if the welcome bonus can be taken part of with an e-Wallet or not. You can also check this yourself by reading the terms and conditions that the bonus comes with, which is always highly recommended to do. ❔| Are there any CSGO betting sites for PayPal? Of course! Counter-Strike: Global Offensive is one of the most popular eSport games to bet on and you’ll therefore find that more or less every site offering eSport betting with PayPal has this game covered. ❔| What other eSport bets for PayPal can I find? Although a limited selection, some of the best eSport betting sites are supporting PayPal as a payment method. 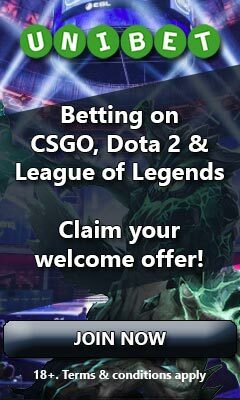 This means that you can find almost all of the eSport games available for betting with PayPal. 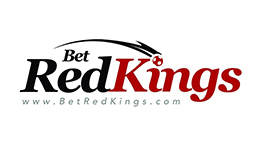 To find out what games our listed PayPal betting sites are covering, just click on “read more” and we have them all noted down in our thorough reviews. Alternatively, you can just filter the bookies by the games you’re interested in betting on. ❔| In what currencies are PayPal available? Even if your currency isn’t support, you can still use PayPal. All this means is that you won’t be able to have your account created in your country’s currency, but would have to use another one, such as American dollars or Euros.